Home Chennai Free to pop by? GETTING into the spirit of Independence Day is La Marina guest house, with the fourth edition of their La Marina Fest. 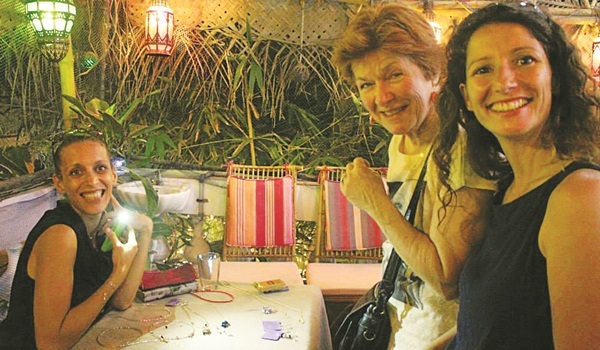 Featuring local designers, bakes, pottery, handmade arts, crafts and apparel, the fest is a one-day event that will allow tourists and expats to interact with the local talent in the citya��all in the charming grounds of the Marina guesthouse. a�?We began the fest to create a platform for young designers, bakers, entrepreneurs and artists to come together and showcase their work. Initially, it was not a business, just a casual forum to grab eyeballs, but this is our fourth season and since December 2014, the fest has become bigger in scale, thanks to publicity through word of mouth and social networking,a�? says Debarati Nandee, general manager of the La Marina and La Plancha guesthouses, who came up with the. She adds that while they had 10 stalls last year, comprising food, clothing and French Creole cuisine, this year theya��re cutting down to seven to allow the exhibits to get more exposure. Of the seven exhibits this year, the Indian flag box (tri-coloured cupcakes in orange, chocolate, coconut and lime) by Salouha Sahi of Eat My Cake has our attention immediately. a�?The proceeds from the sale will be used to aid the family of the specially-abled kids at Satya Foundation,a�? says Sahi, the only baker in the exhibit. New to the fest are artist Aarti Maneka��s hand-made pottery collection of glasses, bowls and jugs hand-painted in earthy tones. Kash Kelsang DolmaA� (La Casita) is also coming with her hand made bags and jewellery made of of recycled materials.